Education is concerned with enhancing the intellectual capital of the courts to benefit individuals, the court as an organization, the public, and others. It involves judges and court personnel as well as court leadership (both judicial and administrative). In many courts, court managers have administrative responsibility only for education of court personnel; in others they have administrative responsibility for education of both judges and court personnel. While court managers may or may not have full responsibility for overseeing education, they need to understand why education is important, what is involved in its development and implementation, and how to determine if it is meeting expectations. 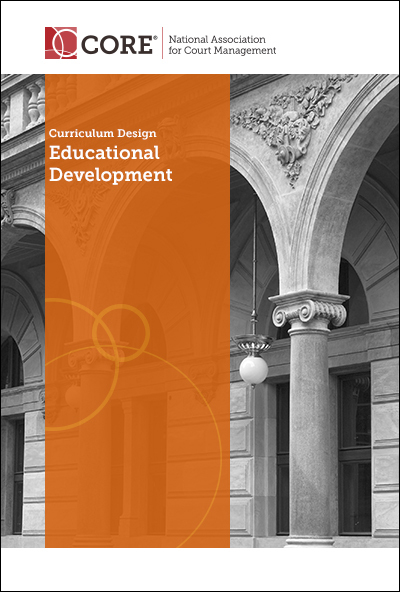 As a course based on this curriculum design begins, court managers may benefit from recalling their own educational experiences in the court and why those experiences have been valuable. A key function for the court leader is the assurance of excellent court performance by actively leading judicial branch education in their courts. Because judicial branch education helps courts maintain the balance between a continually evolving operational environment and the enduring principles and predictable processes of the court, it cannot be remedial and limited to training alone. Rather, educational development must be strategic and involve education, training, and development. The following learning objectives are designed for a comprehensive course on educational management. Develop personal strategies to actively lead education in the local court.